Meet the people who raised the soon-to-be royal. Since Meghan Markle and Prince Harry got engaged in November, there's been a huge media spotlight on her family, and for good reason—they're about to be forevermore linked to one of the most powerful families in the world! Before her wedding to a real-deal prince, get to know Meghan's real family. Here are all the facts, but before you dive in, here's a visual to guide you. Meghan lived with her mother when her parents divorced. Doria and Meghan's father Thomas got divorced when Meghan was six years old, and Meghan lived with her mother in L.A. after that. She still saw her father regularly, though—Doria and Thomas' marriage had reportedly ended on amicable terms. Doria works as a social worker and yoga instructor. Meghan described her mom on her now-retired lifestyle website The Tig as a "free-spirited clinical therapist who also teaches yoga." She reportedly works at Didi Hirsch Mental Health Services in Culver City, California. Meghan and her mother are incredibly close. The mother and daughter spend lots of time together. "We can just have so much fun together, and yet, I'll still find so much solace in her support," Meghan said in an interview with Glamour in 2017. "That duality coexists the same way it would in a best friend." And Harry is probably closest with Meghan's mom, of all her family. 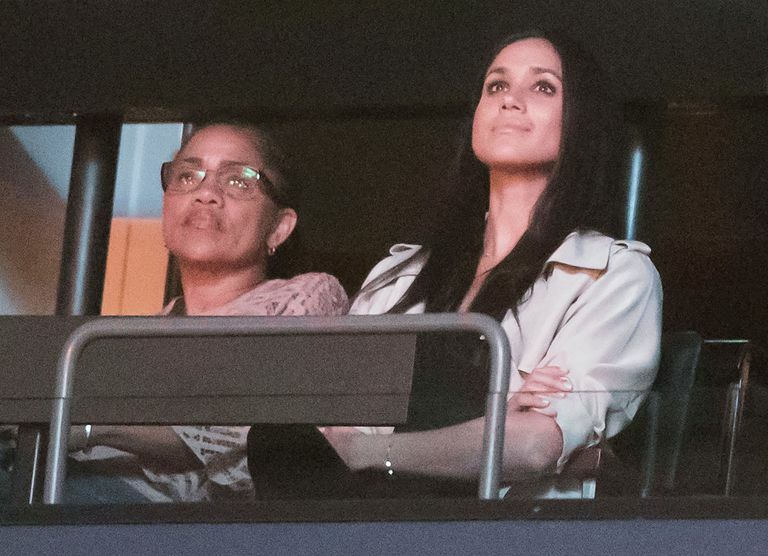 Doria met Harry multiple times while he and Meghan were dating, and she even went with Meghan to the Invictus Games in 2017, where Prince Harry was a patron. In Meghan and Harry's first TV interview after their engagement, Harry said "Her mom's amazing!" Meghan's step-grandmother is her mom's age. In 1983, Doria's father Alvin got remarried. At the time, he was 53 and his new wife Ava was 29, and they had a child (Meghan's uncle Joffrey Ragland, who is technically younger than Meghan) four months later. He was in the television business, too. Thomas was the lighting director and director of photography on Fox's Married...With Children, and Meghan was able to spend time on set with him, which sparked her love of film. "Every day after school for 10 years, I was on the set of Married...With Children, which is a really funny and perverse place for a little girl in a Catholic school uniform to grow up," she told Esquire in 2013. "There were a lot of times my dad would say, 'Meg, why don't you go and help with the craft services room over there? This is just a little off-color.'" Thomas has won two Daytime Emmy Awards for his work on General Hospital. He has two other children. Meghan is Thomas's only child with Doria Ragland, but he has two other children (Samantha and Thomas Jr.) from a previous marriage. They've both spoken to the media about Meghan and the upcoming wedding. More on that later! Thomas has a brother, Meghan's uncle, who "runs a church." Thomas Sr.'s brother Frederick Markle is reportedly the leader of the Eastern Orthodox Catholic Church In America. His congregation, which is dwindling, calls him Bishop Dismas. After much going back and forth, he will not be attending Meghan's wedding. On May 13, the Daily Mail reported that the super cute photos of Thomas prepping for Meghan's wedding were fake, and a photographer paid him to take them. At that point, he decided he wasn't going to the wedding because of the whole situation, and he revealed he'd also suffered a heart attack. Then, he changed his mind and said he would go to the wedding. Then he changed his mind again and said he wouldn't because he was about to undergo heart surgery. She's an author (kind of) and health counselor, and apparently "a former actress and model." She says the media's portrayal of Meghan and their family is wrong. When Prince Harry made a comment in an interview last year that his family is "the family I suppose that [Meghan's] never had," Samantha had *thoughts* about it. In response, she tweeted that Meghan has "a large family who were always there with her and for her." 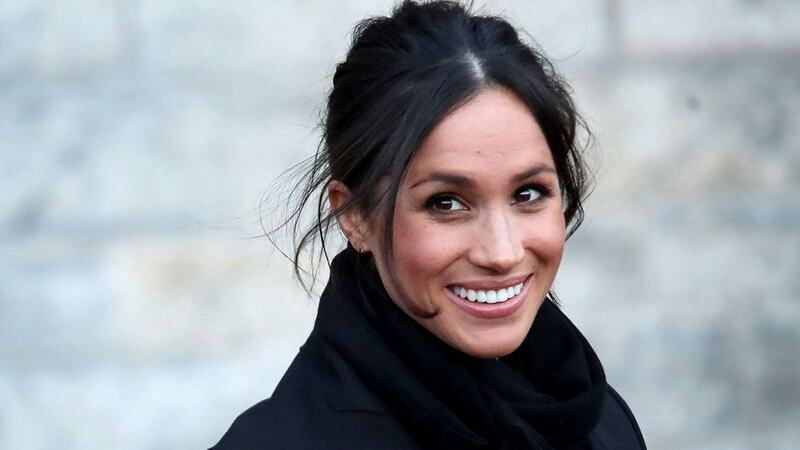 Along those same lines, in an appearance in the TLC documentary When Harry Met Meghan: A Royal Engagement Samantha commented: "The tabloids wanted to create this rags-to-riches Cinderella story, which is so far from reality." She took responsibility for Thomas staging the photos of him prepping for the wedding. On May 14, Samantha said she told her father to orchestrate the photoshoots as a way to show the world how he was preparing for Meghan's wedding. "As we know the media can take very unflattering photographs of people on their casual days and blow it way out of proportion," she said in an interview with the British talk show Loose Women. "I said, you know, the world has no idea you're getting in shape, doing healthy things. They don't photograph you buying vegetables and PH water. They photograph you as unflattering ways as they can." She hasn't seen Meghan since 2008. The last time Samantha saw Meghan was when she graduated from college in 2008. Samantha was also diagnosed with Multiple Sclerosis around this same time. "She was dealing with traveling the world and I never wanted to burden her," Samantha said. "I was dealing with, at the same time, progressing disability." She reportedly wasn't invited to the wedding, but she'll be in Windsor the day of as the guest of a television program. He says Meghan's engagement has put his life under scrutiny. He said in an interview with the Daily Mail that since Meghan got engaged his life has been under the media microscope and that he's had to move three times. "There was a time where people were following me around at work, taking pictures, and posting horrible stories about me and my family saying I'm a white supremacist, a drug addict, and a dealer," he told the tabloid. "That just isn't true." He was, however, arrested last year for pointing a gun at his then-girlfriend. He's been on television to talk about Meghan, along with his mother and brother. Tyler and his mother Tracey (who would be Meghan's former half-sister-in-law) plan to be in Windsor for the wedding to be guests on Good Morning Britain. They've already made one appearance. 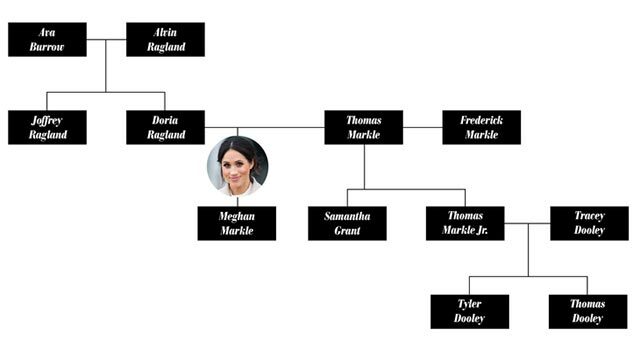 Meghan has another nephew, Thomas, who is Tyler's brother. Thomas, 26, reportedly works at a Domino's Pizza restaurant. He's growing a special strand of weed for Meghan's big day. The Daily Mail reported Meghan's nephew, the son of her half-brother, is growing a special strain of cannabis for her wedding and it's called—wait for it—Markle Sparkle. The 25-year-old cannabis grower lives in Oregon, so this is totally legal, and he said he's absolutely willing to give Meghan a sample if she and Harry ever end up in Grant's Pass.